The first day of autumn is September 23, and to celebrate I bought a bottle of maple syrup. It’s going to be getting a lot of use out of it over the next couple of days, and I hope to have some new maple recipes soon. For now, here’s a small selection of some of my favorite maple recipes. 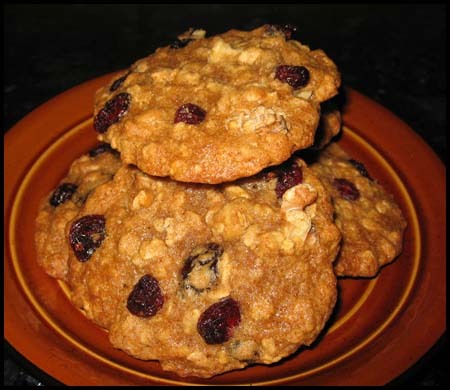 Big Fat Maple Cranberry Oatmeal Walnut Cookies are sweet, chewy and have a recognizable maple flavor. I apologize for the old photo and will replace it soon with a better one. Don’t let the bad photo put you off the cookies. 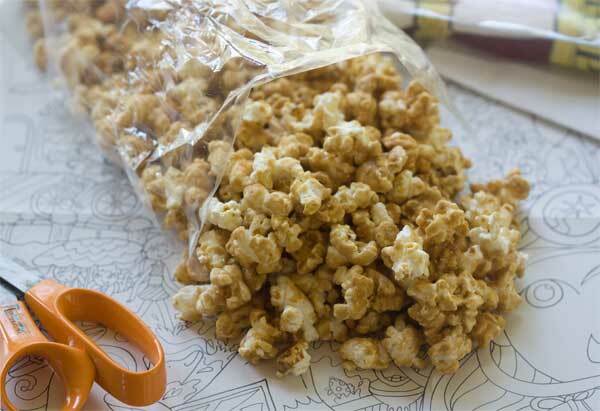 Maple Cashew Caramel Corn is on the agenda for this week, but I’m sort of dreading it because it’s addictive and I can’t stop eating it. 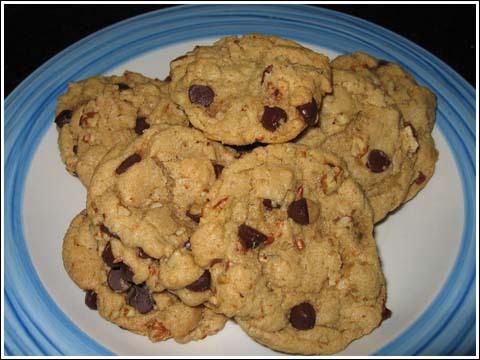 Maple Pecan Chocolate Chip Cookies are vegan and worth a try even if you are not vegan. They taste good, are conveniently made in one bowl, and very pretty. These days I usually make them with a mixture of canola oil and coconut oil. Chewy Vegan Oatmeal Cookies are made with maple and also very good. 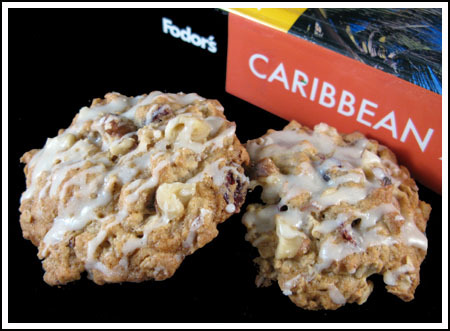 Oatmeal Walnut Cookies with Maple Glaze are a less-sweet “wholesome” tasting oatmeal cookie with a pretty drizzle of glaze. 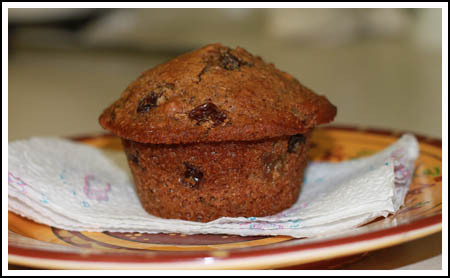 Maple Bran Muffins — This is one of my favorite bran muffin recipes of all time, but I don’t make it nearly often enough because I hardly ever have wheat germ in the house. This week we made it a point to buy wheat germ so I can make another batch and (hopefully) take a new and better picture. Cornmeal Maple Biscuits are a savory way to use maple syrup. I usually make them for dinner as an accompaniment to stew or soup, but they’d also be good for breakfast. 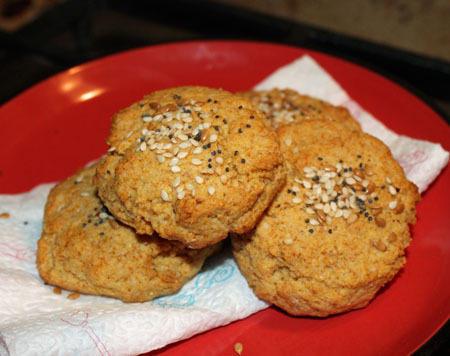 LOL – I just made the Cornmeal Maple Biscuits from KAF Whole Grain Baking this morning! They weren’t my favorite, but it was probably because I accidentally turned off the oven at some point, so they ended up dense. Oh dear. Mishap aside, my favorite maple recipes from that book are the Maple Date Bread, Maple-Walnut Bread, and Maple-Cranberry Pecan Bread (all the same base, just different mix-ins), and the Maple-Oat Sourdough Bread. From America’s Test Kitchen/Cook’s Country/Cook’s Illustrated, my favorite maple recipes are the Maple-Brown Sugar Frosting, Skillet Apple Crisp with Maple and Bacon, and Glazed Maple-Pecan Oatmeal Scones. You might have moved on to another theme, but I thought I’d share in case you’re inspired to try any of them 🙂 They’re all super good in my opinion! BTW, I didn’t see a comment field on the Martha White post.